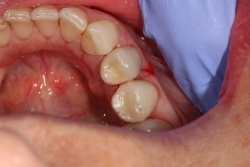 Teeth need to be filled for a variety of reasons such as tooth decay, tooth wear or fractures and this can now be done using techniques that remove minimal tooth tissue and create a filling that can blend in with your tooth. Traditionally it used to be only metal fillings offered to patients however we now prefer to place white (tooth coloured) fillings as they are functional and cosmetic. The other advantage is that they are glued to your tooth making a strong seal between filling and tooth to prevent ingress of bacteria. 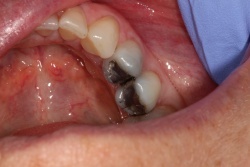 Metal fillings often require more tooth tissue to be removed and so it is more favourable to have a white filling. When you smile or laugh it will look like a natural tooth and is less visible then a metal filling. All of our dentists are extremely experienced in placing white fillings.